These pieces are digitally collaged framed photographs with an "X" spray-painted over the outside of the frame. The background images in these works are photos taken by Stephen at Disneyland. Rhodes, born in New Orleans, has been interested in the simulated Southern landscapes in Disney's theme parks. The green and turquoise "Xs" are of the French Quarter and the larger gray "X" is of the Haunted Mansion which is based on a Southern plantation home. 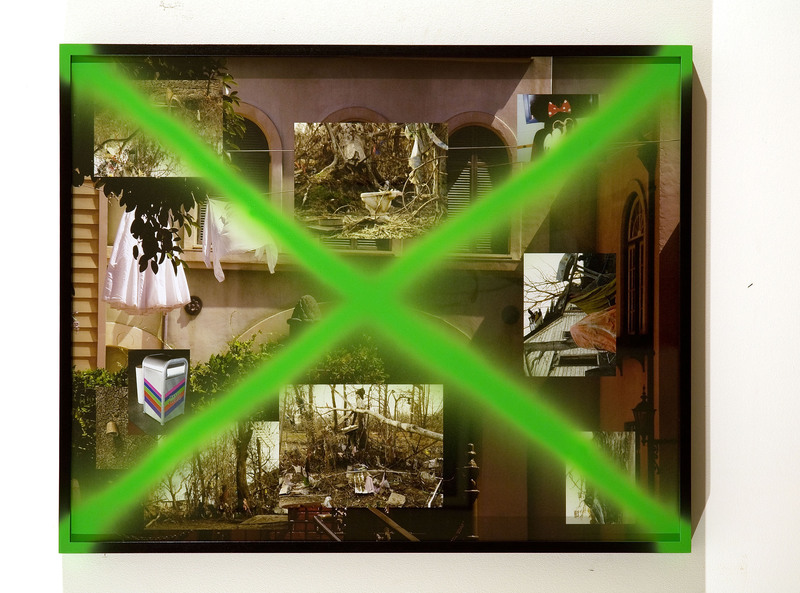 The overlaid images are of the Louisiana landscape post Katrina. The spray painted X refers to markings made on uninhabitable houses post-Katrina.